Staging Canadell’s experienced shipping staff is ready to help you. Whether you are next door or across borders, we can coordinate shipments with ease and speed. We have selected freight companies with the best service and the lowest cost to ensure that your product arrives safely and on time at a price you won’t believe. Your sales rep will work with you to determine the delivery service that best suits your needs. 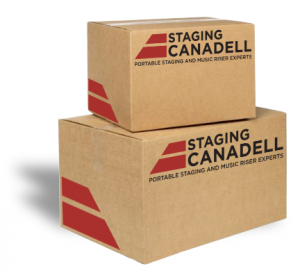 Staging Canadell reps are ready to quote a shipping cost based on your location and the size of your order. Get in touch.